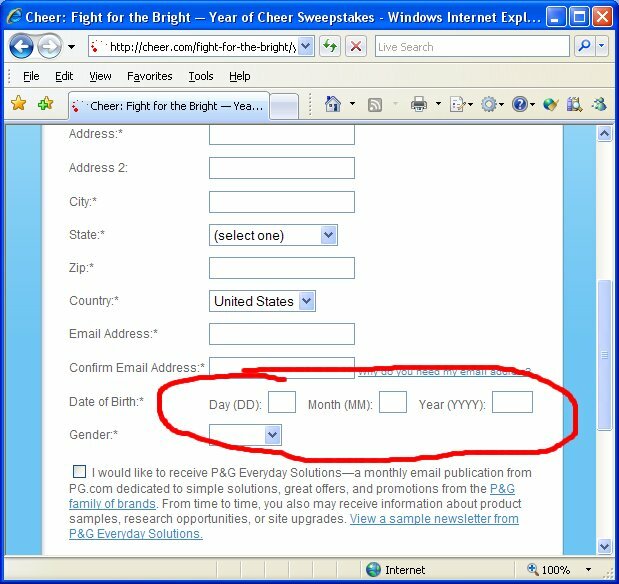 We at QAHY.com are not the only ones who have fun mocking Web form design; the Loose Wire Blog has found an instance of confusing checkbox, sleazy syndrome. Opted in if you do, opted in if you don’t. Joel Spolsky of Fog Creek Software explains some of the thinking behind Evidence-Based Scheduling included in the new release of FogBugz. Honestly, that’s what you ought to be doing if you’re taking a scientific approach. However, your organization and its schedule builders aren’t scientific, preferring instead to build timelines and effort estimates to fit external constraints, deadlines, or budgets instead of reality. So, carry on with those unwritten tasks of covering your rump when failures occur. Typo, or Something More Sinister? Fox News’s Suzanne Sena has an all-Flash Web site complete with the Click to Activate Control box. But it’s not the interface that’s sinister; it’s the text within her bio. Posted in Typo | Comments Off on Typo, or Something More Sinister? Joel Spolsky provides your team with a handy checklist to ensure that your team collects all the easy ways to fail in software development projects. Count how many apply to your current situation! For about an hour last August, Gary Hoffman was a very lucky man. Hoffman was playing the nickel slot machines at the Sandia Resort and Casino on an Indian reservation in New Mexico when he appeared to hit the jackpot: the machine said he won nearly $1.6 million. “I became ecstatic,” he said. But the ecstasy was short-lived. Hoffman says in a lawsuit filed earlier this year that Sandia refused to pay, claiming that the machine malfunctioned. Instead, he said, they gave him about $385 and a few free meals at the casino. “I won money, fair and square, and I’ve been cheated out of my winnings,” Hoffman told ABC News. The casino says it’s not responsible for what it describes as a computer error and says it offered Hoffman the maximum payout of $2,500 for that particular slot machine. But, a jury may never decide who is right. Lawyers told ABC News that gamblers like Hoffman may have little legal recourse against Native American casinos, which sometimes operate beyond the reach of U.S. courts. Because the more this becomes common place (“It’s a bug” or “It’s a malicious attack!”), the more fault-tolerant our society becomes. Which is okay in the course of online sweepstake, but when all standards for business machinery fall to those low levels, certain non-fungible values (money, altitude, and so on) will be held to the same lax standards. Remember when I told you how to check your PDFs? Apparently, J. Deitch, who works for someone who does Amazon.com’s promotions, wasn’t listening. Kudos to the Samsung Mini Sweepstakes for deviating from the norm in ways fashioned to confuse the users. 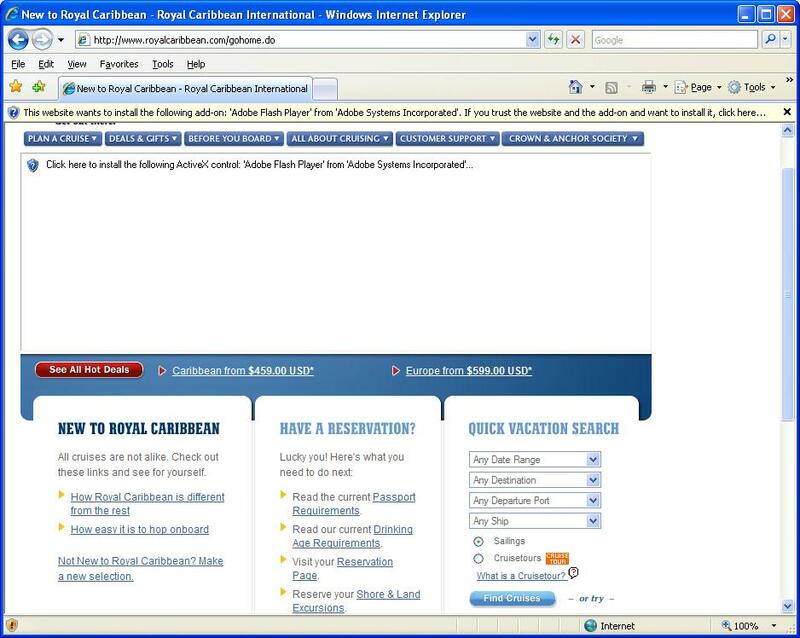 You remember, our unofficial slogan here at QAHatesYou.com is Everything, every time. That’s because sometimes the little things that a QA staff doesn’t check because they’ve tested something very similar on a similar page or, heaven forfend, there’s no QA team at all and nobody is checking the little things at all. Take, for instance, this contest to win a Chevy Camaro painted like the Transformer Bumblebee. Click for full sizeI guess they wanted to see if I was paying attention. Thankfully, though, the validation helped me out, but I had to stop and think why my birthday was failing on the birth day of 20; obviously, though, that failed validation for a real month. 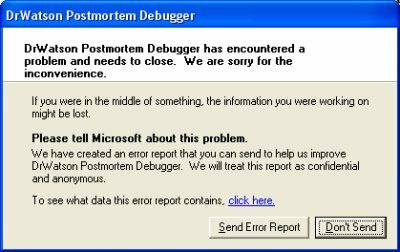 Some developers think the words “Training Issue” are a parry five when it comes to defect resolution. The developers will mark the issue as resolved/won’t fix or some such nonsense, brush the crumbs of QA intransigence from their hands, and go back to voting for the Nintendo Wii over the XBox in an Internet poll. Click for full sizeYeah, you don’t see those every day. Because even QA gets Sunday off most weeks. Throughout much of the IT world, the developers and the people who love them want technology to solve everything for them, to be everything to them. Unfortunately, we in QA spend most of our days steeped in the myriad ways technology fails without remorse on its part and often without remorse on the part of the negligent nabobs who created it. So you can understand why I’m not an early adopter to the latest gee-whizzery that uses faulty algorithms to supplant fallible people. So when I saw several ads for WhiteSmoke, a product that’s supposed to review and improve your written work, you might think I would be tempted to go to its Web site and review it for grammar. Brother, you know me too well. Some people are born to QA; I must be one of them, since the applications fail at my slightest touch. Click for full size Why do the applications come to me to die? Why do the applications come to me to die? In SD Times, columnist David Linthicum asks: Is SOA Quality a Priority? SOA testing is in the media a bit these days as those who implement SOA have to make sure those new services, abstraction layers and orchestrations are ready for prime time. However, the common approach to SOA deployment is: development now, requirements maybe, and testing if we have the time. You can’t afford to make that mistake; there is too much on the line with this stuff. Indeed, a recent study by Nucleus Research discovered that existing SOA implementations achieved limited success when considering ROI. Only 37 percent of enterprises have achieved a positive return on their investments from SOA deployments. While the root cause of these low ROI numbers can be attributed to many factors, the key issues relate to a lack of planning and a lack of testing. Central to this problem is the fact that quality assurance, in general, is an often overlooked concept to most developers and designers. I mean, you’re admitting that your code and resulting services need to be tested. How can that be? How long have you been in the industry? This is called business as usual in most sectors. Or, as I like to say (starting today), HIHO: Hubris in, Hopelessness Out. Click for full sizeOf course, it’s hard to be insulted by an e-mail marketing communication rife with typos and a Web site rife with errors. 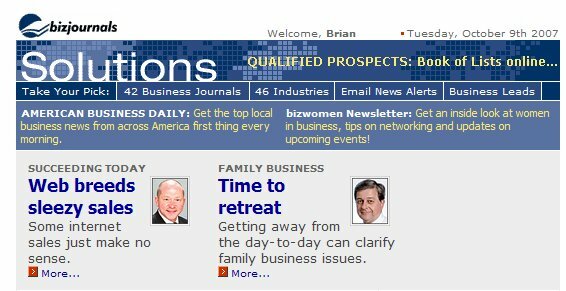 I realize I single out BizJournals.com a lot, but geez, the quality of its e-mails and its Web site are atrocious and worthy of scorn. Click for full sizeWhy, it’s almost as though the word is getting out amongst the very tools of the QA trade about me. Posted in Failed applications, Gallery of Stack Traces | Comments Off on Et Tu, Bug Tracker? How do you know if you’re a good software tester? Dr. Watson ends it all rather than continue working with you. 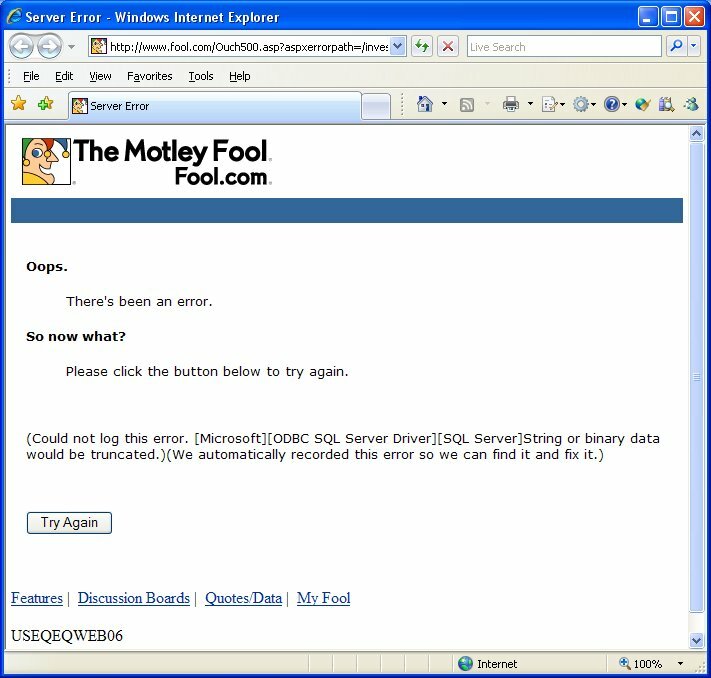 You are currently browsing the QA Hates You weblog archives for October, 2007.